Do you want your children to Experience God? Not only is Sammy's adventure a fun book to read, but it is written specifically to help introduce children to the principles of Experiencing God at their own level. God doesn't want our kids to experience Him just in their heads, but in their hearts and lives as well. It is our prayer that this book will help them understand God's ways and His will in their lives. 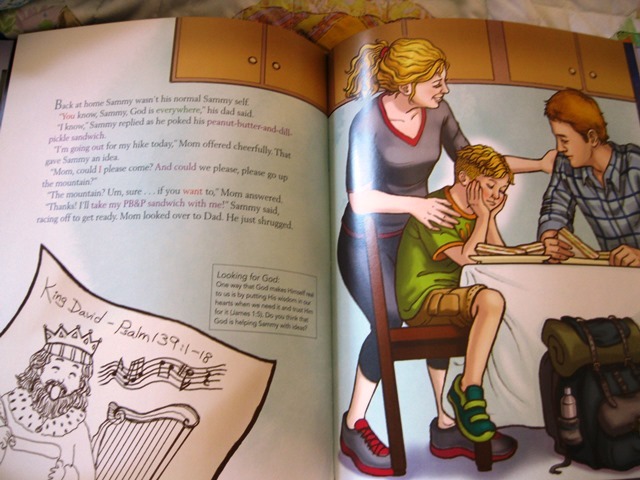 This is a precious children's book about helping our children understand what it is to have God in their life. 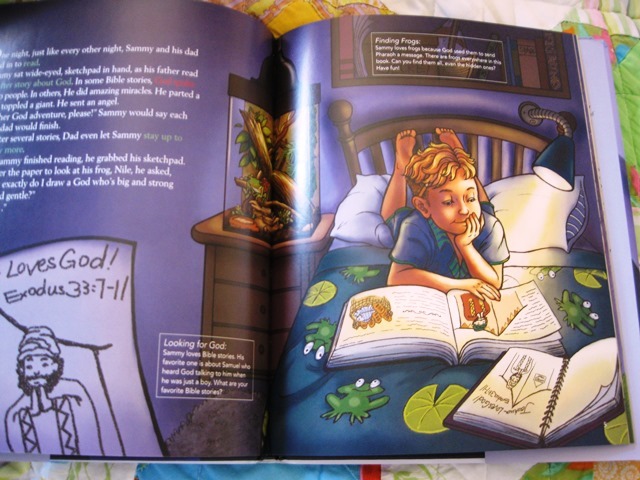 Little Sammy loves the stories of the Bible and how the people of the Bible have personal experiences with God. He decides he wants to have a personal experience of his own so, remembering the stories he's heard his dad read to him, he goes on several adventures to try and have a one-on-one with God. There are "Looking for God" boxes that highlight something important we should discuss with our child. 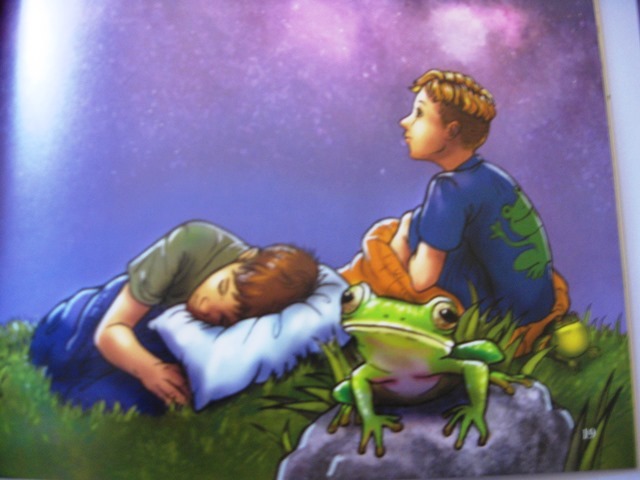 Plus there are also different layers of learning throughout the book from putting together the different colored text to get a special message, to finding and counting all the frogs in the book (there are A LOT of frogs!) I really liked this about the book because it wasn't just about reading the book. A very touching part of the book to me was that the grandfather's name is Henry in the book. 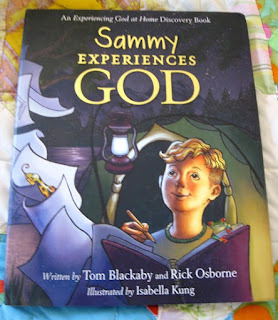 I thought this was wonderful since Henry Blackaby is the author of the wonderful Bible study called "Experiencing God" from which this book is based. The illustration even looks somewhat like Henry! This is a wonderful book! It will definitely become one of your child's favorite books. It will help them to understand what it is to have a personal relationship with God while enjoying an amazing story and beautiful illustrations! Thank you for reviewing this I was looking for something for my son and I am going to check this out.